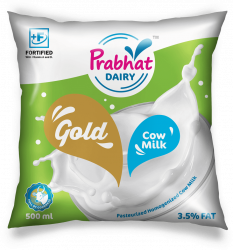 Prabhat Dairy is one of the established and integrated dairy brands in the Indian dairy industry. It has been providing top quality dairy products for the past 15 years. Its healthy products and unmatched quality have made it a favourite and most preferred brand in the households. Being India’s first online dairy store, Awesome Dairy believes in delivering quality dairy products at the best-discounted price.